IQ Option Review - What You Need To Know? 2 What Can You Trade With IQ Option? IQ Option is an online trading platform where you can trade many different assets. The main types of them being Binary Options, Stocks, Forex and Cryptocurrencies. IQ Option was founded in 2013 by IQ Option Europe Ltd. It is one of the quickest growing online trading platforms, having over 20 million account holders from all around the globe. 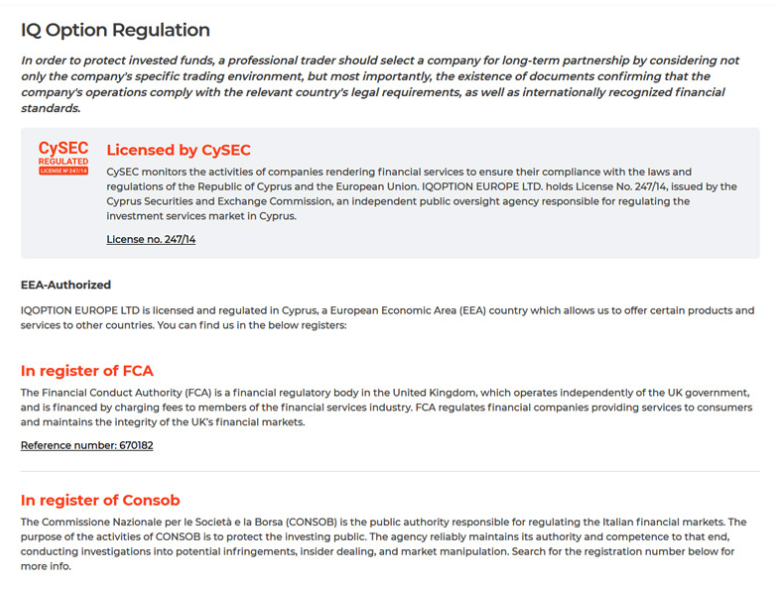 IQ Option Europe Ltd. is authorized and regulated by the Cyprus Securities and Exchange Commission (CySEC) only. The company is completely compliant with the regulation and is fully authorized to offer its service to clients from many countries. What Can You Trade With IQ Option? The IQ option platform allows its users to choose from a variety of alternatives. In the beginning,the platform was only a binary options broker, now it allows trading of Contracts for Difference (CFDs) on stocks, Forex, Exchange Traded Funds (ETFs) and Cryptocurrencies among other digital options. CFDs on Stocks -IQ option offers customers CFDs trading on stocks from more than 7480 different companies, some of them being listed on NASDAQ or NYSE. ETFs – ETF trading is a relativelynew alternative, which works by tracking commodities, indices, andbaskets of various assets. On IQ Option, users can choose between around 4200 ETFs. Cryptocurrencies – Traders can choose from 12 of the biggest cryptocurrencies, including Bitcoin, Ethereum, Ripple, Litecoun, Monero, Zcash, Omisego and IOTA. Options – Traders have a large numberof options to choose from. They can speculate on currencies, stocks, indices, and IQ Option currently offers a gateway to over 10 million options. Our IQ option review reveal that they offers a demo trading account. There is no limit on how long you are allowed to use it, which is a really nice feature, not usually seen amongst the competitors. Because of that, you can get really comfortable with tradingon the Iqoptions platform. A demo account is always an option, so you can test new trading strategies whenever you want. The demo account is credited with $10,000 in virtual money. Should you lose it, you can always refill the account, so you are always able to try out different trading strategies. Another great feature of the demo account is that you can use it, without having to provide personal information. This makes it easier to protect your privacy when testing out the IQ option platform. Real Account– The minimum required to open it and start trading is $10. There are no restrictions on trading functionality. This is the standard account where you can invest in over 70 assets. Traders can request withdrawals that are processed in 24 hours. The account users can also participate in many different trading competitions held on the Iqoptionsplatform (EU citizens are not allowed to take part). Vip Account – This type of account is available to all users except EU users who deposit $3,000 or more. It has all the features of the regular account and on top of that,it includes a personal manager that will assist you with any issues or questions. The VIP account also offers a monthly report on your trading records, made by their analysts giving you valuableinsight on your trading performance. The easiest way to sign up is through Facebook. Google, or by using your email address. 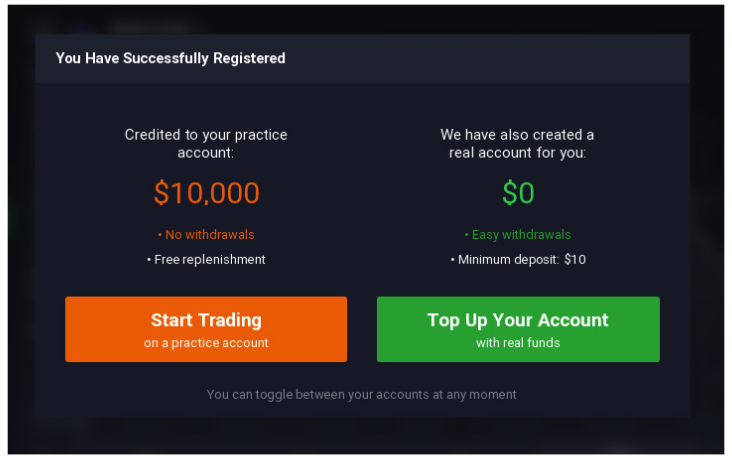 After you fill in your username and password, you can start using your practice account right away, or fill your real account and start trading. You will be notified when you create both practice and real account. IQ Options has its own proprietary platform and they designed it superbly. Navigating around the platform is straightforwardand is overall an enjoying experience. It is very easy to find all the tools and features, everything makes sense. The IQ option platform has also many useful charting tools which are a necessity for successful trading. At IQ Option, there is a minimum deposit of 10$. You can select your deposit form and transfer the money without having to pay any deposit fees. For your first deposit,you will have to go through the account verification process. In EU this also means adding your phone number, personal information, your trading experience, andphoto identification. In different countries,there are different legal requirements. Usually,you need some sort of verification to make withdrawals from the IQ option platform. IQ Options offers many ways to make deposits or withdrawals. You can use debit cards like Maestro and Visa Electron, or decide to use otherpayment processors like Skrill, WebMoney, Cash U, Moneybookers, andNeteller. You can also send yourpayments through Wire Transfer. The minimal withdrawal amount is $2 and the approximate time to receive your funds is 1 business day. For your wire transfer, additional bank fees may apply. At the time of writing, it is not possible to transfer funds via PayPal. However, they are working to enable this option. When talking about funds withdrawal, they uses the same methods you used to deposit your funds. If you deposited funds via credit ordebit card, you have to withdraw it in the same manner. As this transaction counts as a refund, you can only withdraw up to the amount you deposited. Extra profits can be only withdrawn via a bank transfer or by blockchain transaction on your e-wallet. E-wallet options are the same as used for the deposits. If you choose to withdraw funds via a bank transfer, you should know there is a fee of $31. Should you make a deposit through an e-wallet, you have to withdraw the funds to the identical e-wallet account. Your withdrawals will be processed within three business days. When using bank cards and payment providers, the whole process could take some additional time. If you made a deposit via abank card, you have to upload an image of both sides of your card. However, it is advised to hide the middle of your card number and your CCV number. As long as you keep the first six and the last four digits visible, you are good to go. Trading with the Iqoptions is pretty easy and intuitive. The trading charts are in the centerwith buy and sell boxes on the right-handside. Your total trading balance is located at the top along with any assets you are currently trading. You can use the drop-down on the upper left, to pick your trading instrument. You can choose from FX Options, Forex, Stocks, Crypto, Commodities, Indices, andETFs. From each of the instruments, you can find your asset via a search bar. Trading is possible directly from the online interface. On the right side of the graph, you will see the buy and sell buttons. Just fill out the amount of the asset you want to trade, and confirm your order. You can also trade on the mobile application. The mobile setup is pretty similar to the web interface. On the right side of the cart, you have your buy and sell options. You can also change the investment, leverage, and price and before making a trade. On this section,you will also notice the spread. On the Iqoptions platform, traders are able to look for their favoritecryptocurrencies and access all of the important relevant information. Besides Bitcoin and Ethereum, you can also trade 10 other cryptocurrencies, including Dash, Ethereum Classic, Ripple, Litecoin, IOTA, and Monero. There are also obvious links to chats, your trading history, andthe customer support service. If you have any issues, you can alwaysstart a conversation with their support team. The resources section is another useful feature, offering all the training and education material you might need. Thereare many short educational videos onoffer, so you can watch the training material without needing to leave your trading account. The demo account has the same functionalitiesas the standard one, allowing you to improve your skill and get familiar with the IQ option platform, using the $10,000 of virtual money availableon the demo trading account. As we said before, even if you lose that virtualmoney, you can replenish it, so you always have something to practice with. IQ Option enables a wide variety of order types. You can use them to reduce your risk and adjust your trading strategy. The different order types let you develop short, medium and long term strategies. Multipliers are a tool to increase the risk o fan investment in exchange for larger potential returns. Stop-loss orders act as your safety net. You can set the maximum loss you are willing to take, so when the stop-loss order is triggered you will exit the position automatically. Purchase at preorders, onthe other hand, means setting up a price at which you are ready to enter a market. Furthermore, take profit means setting up a price at which you will exit your position on a profit. Additionally, there are tools availableto enable you toset-up your stop losses or take profits in a different way. On IQ Option, you can set your stop losses and take profits on either the asset price, percentage, or on numerousloss. You also have a choice to set your dynamic stop loss or a trailing stop. There are many different types of orders you can make at the IQ Options platform. The specific type also varies by the asset. Multiplier orders let you increase your risk and profits on your position by a coefficient. This is a very useful tool, mainly for more experienced traders. Due to the increased risk, you shouldn’t be using it, unless you have the experience and know what you are doing. If you use it in a correct manner, it can increase your profits for quite a bit. Stop loss orders allow you to define your maximum loss on a position. If it gets triggered, you will exit the position and minimize your losses. Take profit orders letyou exit your position on a profit. You can predetermine at which price point you want to exit your position and take your profits. Trailing stop orders is a moredynamic type of order. It auto closes your position proportionatelyand moves with the price changes in your pre-defined direction. Pre-order lets you buy an asset when it reaches your desired price. When your price is reached, the asset is automatically purchased. To be able to trade as efficiently as possible, the IQ Option platform offers many different charting tools. Those are essential for any serioustrader as they let you make an informeddecisionon the market. Based on those tools you can develop your strategy and better understand what’s going on in the market. The most commonly used charts on the IQ Option platform are candle charts. They show a time period, with colors presenting the amount of volatility and the price movement between the beginning and the end of each period. Hollow candles are similar, but instead of showing different colors, the positive price movements are full, and negative movements are presented with a hollow candle. IQ Option also lets you use area charts that show the price in a line, with shading showing the volatility. Line charts are similarbut without the shaded area. Bars cover your chosen time period, similar to candle charts. They show the prices at the beginning and end of a certain period, with vertical lines. The horizontal lines are there to show the prices at open and closepositions. 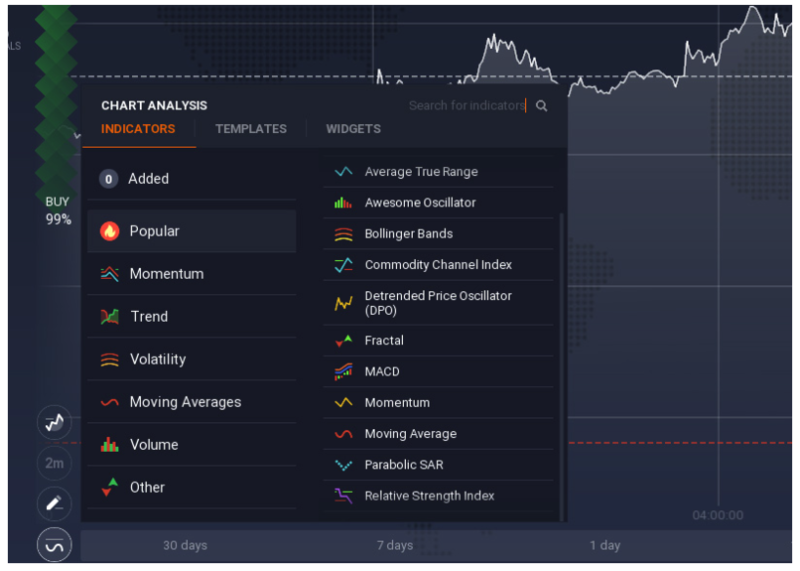 The indicators on the IQ Option platform are used to discover trends and find tradeswith goodprofit potential. They have 13 different indicators you can access throughthe charting interface. You can use each indicator independently or you can go for a combination of them. Moving Averages (MAs) show you the average trading trends in your specified time periods. They are often used with other indicators and include Simple Moving Averages, Weighted Moving Averages, Smooth Simple Moving Averages, and Exponential Moving Averages. – The Moving Average Convergence Divergence (MACD)indicates where moving averages diverge or converge. It lets you compare the relation between Exponential Moving Averages. – The Parabolic SAR is similarto moving averages. The main difference is its position that is changing with the price and corresponds to higher acceleration. You can observe it in groups or dots. – The Awesome Oscillatorshows a visualization of two SMAs. One isfast and the other slow. This indicator helps you observe trend development. – Bollinger Bandsarebasically trend indicators that present a dynamic range of the price movement. – Volume Indicators indicate the amount of the traded asset during a given period of time, showing the intensity of the trading action on the market. – The Alligator Indicator lets you asses market movements. It shows you the movement direction and lets you filter out the Side Bands. This is a cross-functionaltrend that allows you to discover an emerging trend. – The Relative Strength Index (RSI) shows the strengthof the current trend and possible reversal points. It compares the price growth with the overall price reduction. It is shown by a curve. – The Stoch or Stochastic Oscillator indicators let you know the current price position, comparing it to the extreme highs and lows in a certain time frame. It is shown as the percentage, lettingyou figure out any potential reversal points. – The Average True Range (ATR) indicates the volatilityof the asset over a certain time period. It also shows the change rate of quotes. – The Average Directional Movement Index (ADX) presents a trend’s strengthprior to the price movement. It can also show a potential change in volatility. – A fractal includes at least five Japanesecandlesticks, indicating the local maxima and minima of price curves and possible market reversal points. – Commodity Channel Index (CCI) shows you the speed of the price movements. It helps you discover the upcoming market reversals and is helpful when assessingthe strength of a trend. On the IQ Option platform, you can choose from many additional features. 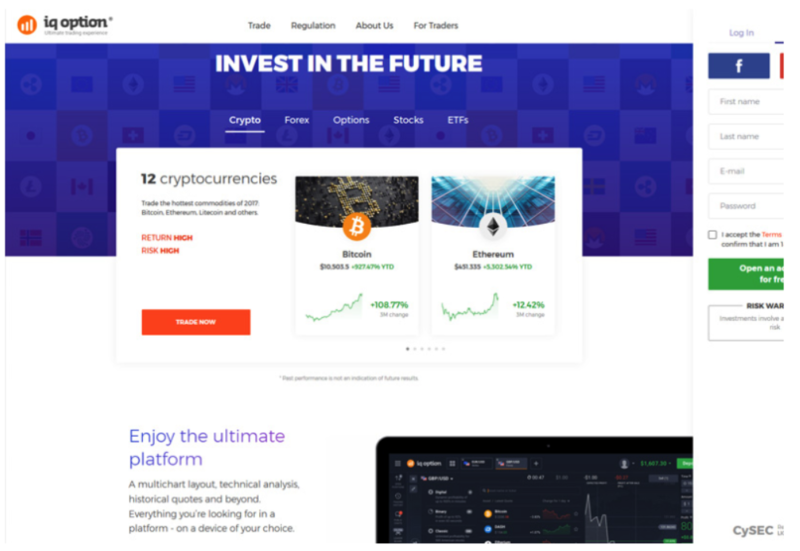 The company is really focusing on improving the user experience and with all the incorporated features, they manage to offer a comfortable trading process. The Iqoptions platform offers a mobile app, so you can trade on your phone as long as you have internet access. The app is clean, with an intuitivegraphical interface. It also includes most of the indicators and charting tools, availableon the standard platform. You can also enable push notifications. To be always up to date with the trading action. You can also set the alerts on specific price points, which will send you an instant notification once your designated point is reached. The app works on tablets and smartphones, accessibleboth for Android and Apple iOS. Should you reside outside the EU, you can be a part of various trading competitions. The Binary Option tournaments are a good way to test your skills and try to earn some extra money via competition prizes. The trading competitions usually last for around 30 minutes. Inthe beginning,you get $10,000 in virtual funds, and the trader with the most money at the endwins a prize. The prize is either fixed or relative to the number of tournament participants. The winner receives up to 100x the entry fee. If you lose all of your tournament funds, you can always go and participate in other tournaments. The competition allows users to test their skills, and try out new trading methods. IQ Option also offers a lot of information to itsusers, and the platform has manyeducational materialsfor both beginners and experiencedtraders. This includes many educational trading videos, webinars, andtutorials. They also offer access to many e-books, and their FAQ section is detailed in covering most of the relevant questions. The Iqoptions platform offers an affiliate program. If you want to earn some extra money, you can bring in new people and receive a reward when they trade on the platform. You only need to share your affiliate link, and anyone who clicks and creates an accountwill be associatedwith your user ID. Depending on the trading of the user, you can receive up to 70 percent of the broker’sprofit. This is an interesting passive income opportunity. The affiliate earnings are paid twice per month. You can’t have a negative affiliate balance with IQ Option. There is cross-platformsupport, and you have mobile and web versions of the affiliate program. They also provide you with analytics, so you can track your affiliate income. 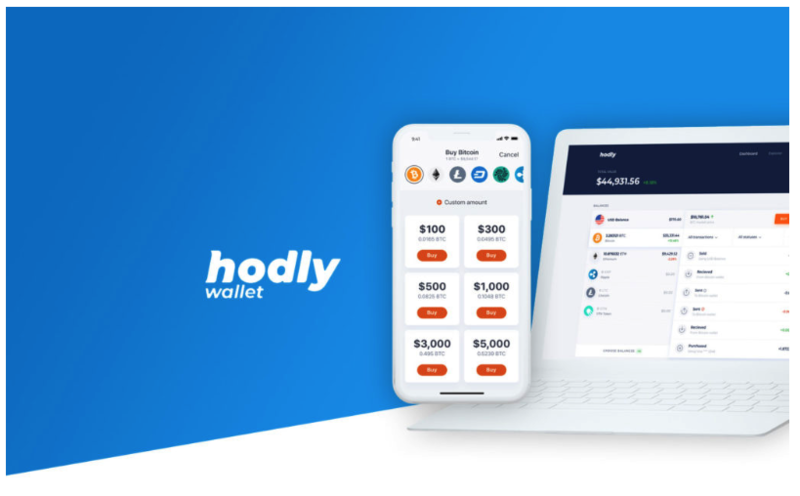 Hodly Wallet – What Is it and How You Can Use It? Not long ago, IQ Options presented a new product for people who want to invest and own Cryptocurrency. The HodlyWalletis a Cryptocurrency wallet that allows buying and storing of Ripple, Ethereum Classic, Bitcoin Gold, ZEC, OmiseGO, NEO, Ontology, Lumen, andTron. You can connect your e-wallet with your bank account. It is a good lookingapp, accessible by web and mobile. 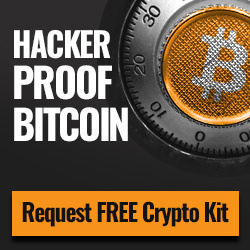 It lets you buy, store or sell your cryptocurrency for any supported fiat currency. IQ Option lets users contact the support team by email, contact form or their chat. They claim to respond to every querywithin a minutewhile aiming to resolve any pending issues in 24 minutes on average. There are more than 80 customer service employees on the team. If you require morepersonalized customer service, you can upgrade to a VIPaccount, and you will receive your own personal manager. The platform has an international focus and wants to service traders from all around the globe. You can trade in many different currencies, like USD, GBP, EUR, Yuan, RUB, TRY, IDR, and MYR. The customer support is availablein English,French, Italian, Spanish, Portuguese, Chinese, Korean, Arabic, German, Turkish, Thai, Hindi, Urdu, Norwegian. Due to various restrictions, the Iqoptions platform doesn’t offer its services to people from the United States of America, Australia, Canada, Belgium, Israel, Palestine, Japan, Sudan, Syria, Iran, North Korea or Russian Federation. IQ Option also abides the standardrules for identification and traders should know, that when they register on the platform, they are required to provide their personal information, verify their email address and telephone number. If you are unable to do so, you won’t be able to complete your registration. They will additionally expect to receive more of your personal information after you fund your account. You will have to provide copies ofidentification documents like a Passport, or National ID Card, and Proof of Address in the form of a Utility Bill or a Bank Statement (for EU residents). Throughout the years, IQ Option has gathered a broad rundown of honors, every one of which highlightstheir qualities. 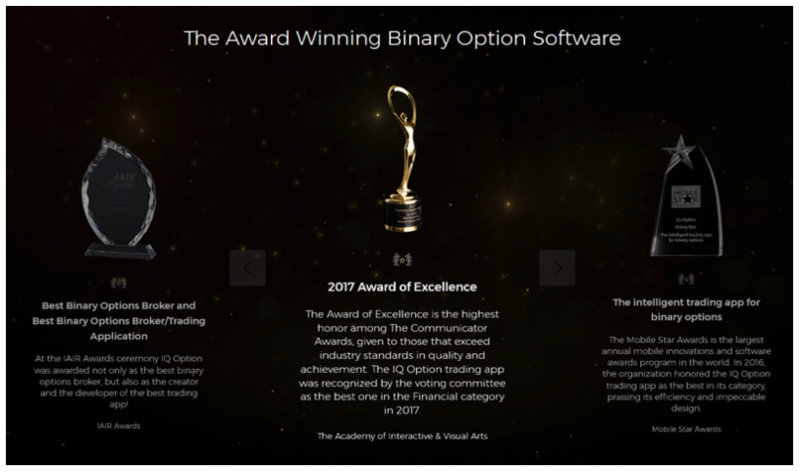 The Academy of Interactive and Visual Arts gave IQ Option the 2017 Award of Excellence, which is the most noteworthy award from the Communicator Awards. IQ Option was perceived by the council as the best exchanging application in their Financial class. In 2016, they earned the Rising Star grant for “The intelligent trading application for binary options” from the Mobile Star Awards, the biggest global yearly honors program for versatile programming and developments. The association adulated them for its design and proficiency. The Web Marketing Association presented IQ Option with the Best Technology Application in 2016 for the organization’s mobile version of the platform. IQoption have additionally earned the Century International Quality Gold ERA Award from the Business Initiative Directions Group as an acknowledgmentfor the organization’s focus on Excellence and Quality, particularly inside Customer Satisfaction. Returning somewhat further to 2015, IQ Option got the title of Best Binary Options Broker Europe 2015 from the Global Banking and Finance Review. IQoption additionally earned the title of Most Innovative Binary OptionPlatform from the IFM Awards in 2015, just as the Best Mobile Trading Platform in similar honors. Global Brands Magazine, a legitimate brand observer in Britain, gave them the title of Fastest Growing Binary OptionBrand. In the Forex Awards 2014, the platform was named the Best Trading Platform, while in 2014, the MasterForex-V granted IQ Options as the World’s Leading Binary Options Broker and the Most Reliable Binary Options Broker. The FX Report Awards named them the Best Binary Options Broker in 2014. In 2013, that year IQ Option was established, the organization earned the title of Most Innovative Binary OptionBroker from Moscow’s ShowFx World gathering. At the IAIR Awards, IQ Option earned different honors, including the Best Binary Options Broker and the Best Binary Options Broker/Trading Application. Iq Option has customers from 151 unique nations. Their website is presently accessible in 13 languages, permitting traders from around the globe to exchange a language they are comfortable with. Additionally, the platform gives traders a chance to choose from one of the accompanying currencies to deposit and trade with: GBP, EUR, USD, Yuan, MYR, IDR, and RUB. Iq Option is owned and operated by an organization inside the European Union. Therefore, it has a permit from CySec, the Cyprus Securities and Exchange Commission. To get that permit, they metand should keep on the meeting, prerequisites identified with advertising limitations, customer assets, and exchanging items. The enlistment in Cyprus as a money-relatedadministrations supplier has number 247/14, enabling IQ Options to take on European customers, who get full CySec protection. Due to CySec guidelines, all customer finances must be stored in isolated accounts that they can’t access for its very own financier business. CySec controllers additionally offer another dimension of store protection, which protects all investments made with the platform should something happen to the broker. Sadly, IQ Option isn’t accessible to traders in the United States. Iq Option is accessible in 178 nations around the globe, however,the United States has stricter limitations and guidelines, which means American users can’t utilize the broker. More nations from where you can’t access the platform include Canada, Russia, Australia, France, Japan, Belgium, Turkey, Israel, Iran, Syria, and Sudan. Most of the online customer’sreviews are positive, however, there is also some negative feedback, which is completely normal. Some of the complaints refer to the platforms KYC requirements before you are allowed to withdraw your funds. Furthermore, it looks like the majority of complaints don’t come from users themselves, but rather from people who claim to have issues with the platform in order to promote a competitors service. When reading those customer complaints, always consider them with some reservation as there might be from people with ulterior motives. The majority of good reviews are generally a good sign and mean that the customers rather value the service, provided by the company. Why It is Not a Scam? While looking at the platform we went through some that claimed it is a scam. One of the reasoning behind the claims was the fact that they disabled somebody’s account meaning they couldn’t withdraw their balance, and there were quite a few unsatisfied people who lost their money trading on the platform. When we put the complaints in the perspective, they were vastly outnumbered by the positive reviews and opinions, meaning that only a small minority had some sort of a problem with the service. In our opinion, the platform is definitelynot a scam, it is run by a tightly regulated company with a high revenue turnover. They also offer a lot of their official business premisesand have a high-qualitywebsite and training content. Besides some good practices, for example, keeping up isolated accounts for customer funds, IQ Option offers security in a few different ways. Obviously, the platform has full SSL encryption. All things considered, all the information that traders send to the merchant’s servers is encryptedto meet AES 256 Bit encryption measures. That encryption restricts the capacity of hackers to get to the sensitivedata, giving IQ Option a chance to assure additional protection to both customer assets and data. IQ Options is a platform that provides a lot of value to their users. Their website combines a great level of transparency with trading functionality. The users can be assured that IQ option is in line with the latest trading regulations. 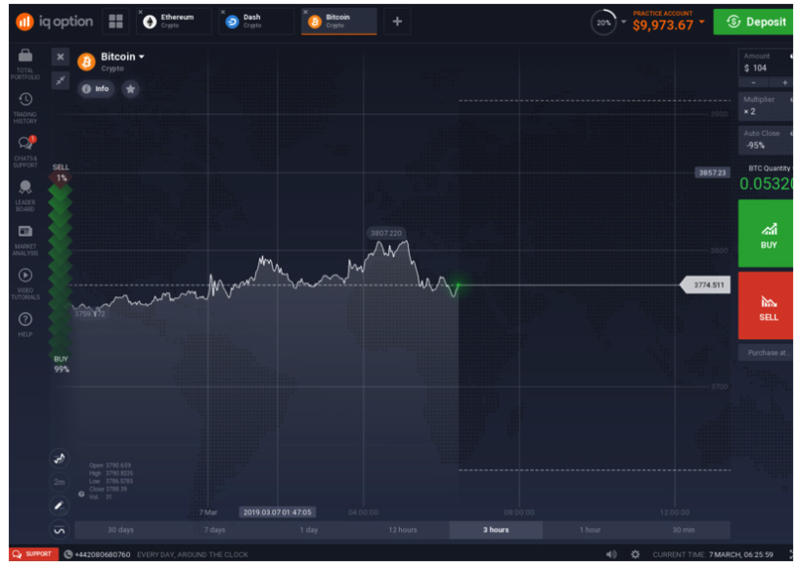 Trading on IQ Option is smooth, and the platform has an easy-to-use user interface. The platform and the trading application provides enough features for professional traders while allowing less experienced traders to easily learn the trading craft. The site has a monthly trading volume of $11 billion and pays out around $5,6 million to its users every month. Thereissome drawback to the site as users who require a more personal customer service experience might be discouraged by thetwo-levelcustomer service system. To have consistentaccess to yourpersonal account manager, you have to have a VIP account which requires a deposit of $3,000 or more, which is not possible for many people. The website is also rising in popularity in many parts of the globe, and it looks likely that there will be people who will wait for more than 24 minutes to have their issue resolved. At last, IQ Option isn’t accessible to the residents of nations, for example, the United States, Canada, and Japan. However, IQ Option still accepts users from more than 176 nations and gives completesupport for every one of its clients. They support the Stock, Forex, and Cryptocurrency trading. Their users can be sure to interact with an intuitive platform that gives access to an abundance of assetsand exchanging alternatives.